Double Daily Bonus Event Now Live! A double daily bonus event for Dragon Trials and The Imperial Onslaught started at Jan 24 22:00, 2019(PT). Use this event to power up your teams! 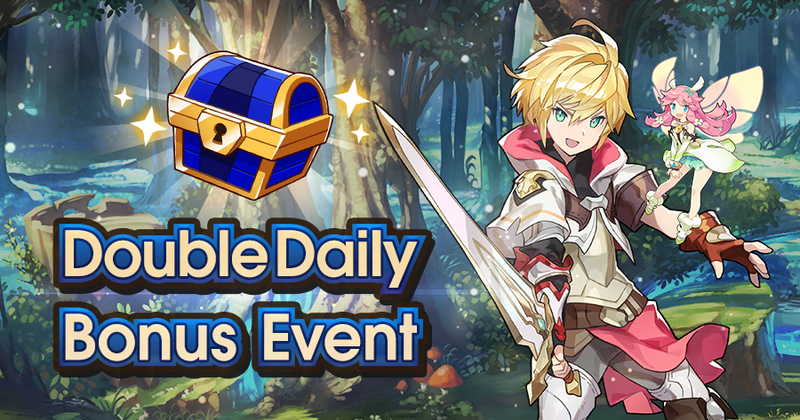 During this event, the amount of rewards you can receive from daily bonuses in Dragon Trials and The Imperial Onslaught will be doubled (2x)! Additionally, if you have a 7-Day Pack (Double Bonus) active, the rewards for Dragon Trials and The Imperial Onslaught bonus will be quadrupled (4x)! The event schedule and content may change without warning.